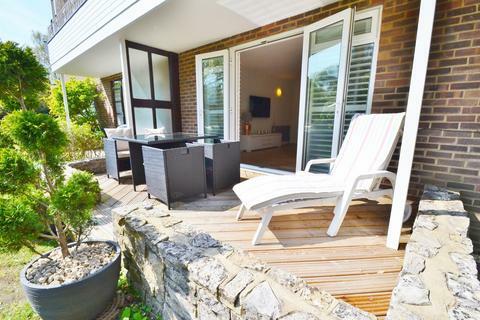 An exceptionally well presented spacious three double bedroom chalet style house which has been tastefully modernized with a delightful 100ft rear garden. 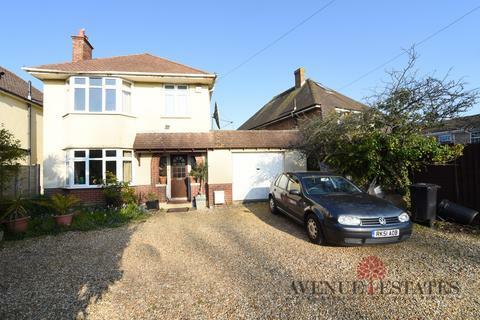 The home has a generous lounge/dining room, well equipped kitchen, modern ground floor bathroom, and en-suite to master, along with a garage, and off road parking for five cars. This property has been finished to a high standard, starting with a beautifully tiled hallway, which extends through to the kitchen. This offers beech units with black granite worktops, an island unit, integrated fridge/freezer and dishwasher, range style cooker with large cooker hood and matching granite splash back. There are also double doors that open onto the charming patio. The lounge/dining room has double glazed windows and doors opening onto the garden, as well as a window to the side, filling this room with natural light and emphasizing the generous size. Other features of this comfortable room are the hardwood flooring, and the gas fire set in a marble style fireplace. The master suite is set on the first floor and offers a very spacious double bedroom with built in wardrobes. The extra large double aspect windows make this sizeable room light and airy, and has the added bonus of a private dressing area set off the landing, with double doors opening onto a balcony that overlooks the lovely back garden. The balcony is set into the roof, designed to offer a large degree of privacy, the perfect spot for a morning coffee, or a nightcap! The two double bedrooms on the ground floor are also offer built in wardrobes, and are particularly spacious. They are serviced by a stunning fully tiled ground floor bathroom which includes a bath and a walk-in shower. 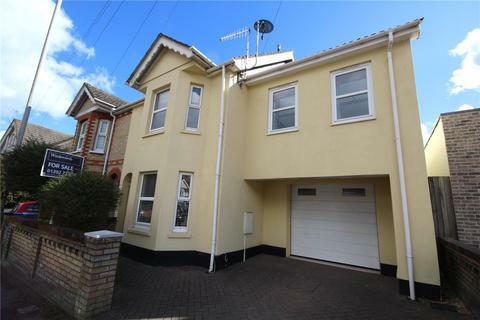 Additional benefits include gas central heating and double glazing, and the front driveway that has been blocked paved, and offers ample off road parking. There is also a garage located at the rear which is accessed by a side road behind secure wooden gates. The beautifully landscaped rear garden is bounded by 6ft walls and fencing, giving it a high degree of privacy. Mainly laid to lawn with a shrub and trees border, there is a patio outside the kitchen, a decking area for al fresco dining, and a paved pathway leading to the garage. This garden enjoys the afternoon and evening sun. 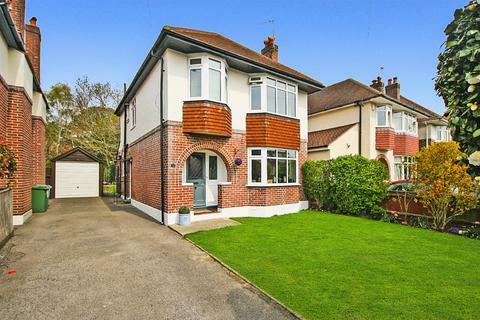 The property is located close to Alexander Park which offers a large area for a pleasant stroll, and there is also a play park for children of all ages. There are some very good schools in the area, the nearest being Courthill Infant School, and Heatherlands Primary School. Parkstone Golf Course is just over a mile away, as is Tesco Superstore, and Bournemouth shopping centre, with its vast array of shops and amenities, is just under 3 miles away. There is also an excellent retail park just half a mile down the road. Property reference 132860. The information displayed about this property comprises a property advertisement. OnTheMarket.com makes no warranty as to the accuracy or completeness of the advertisement or any linked or associated information, and OnTheMarket.com has no control over the content. This property advertisement does not constitute property particulars. The information is provided and maintained by Hearnes Estate Agents - Poole. Please contact the selling agent directly to obtain any information which may be available under the terms of The Energy Performance of Buildings (Certificates and Inspections) (England and Wales) Regulations 2007 or the Home Report if in relation to a residential property in Scotland.